For those who live in climates where winter actually feels like winter, a good pair of boots is a must. When you're trudging through the snow to chisel the ice off your windshield, the last thing you want is for your feet to be unprepared. Wet socks are bad enough when the weather's warm. But if your favorite winter boots are damaged or starting to show signs of tearing, there's still hope. 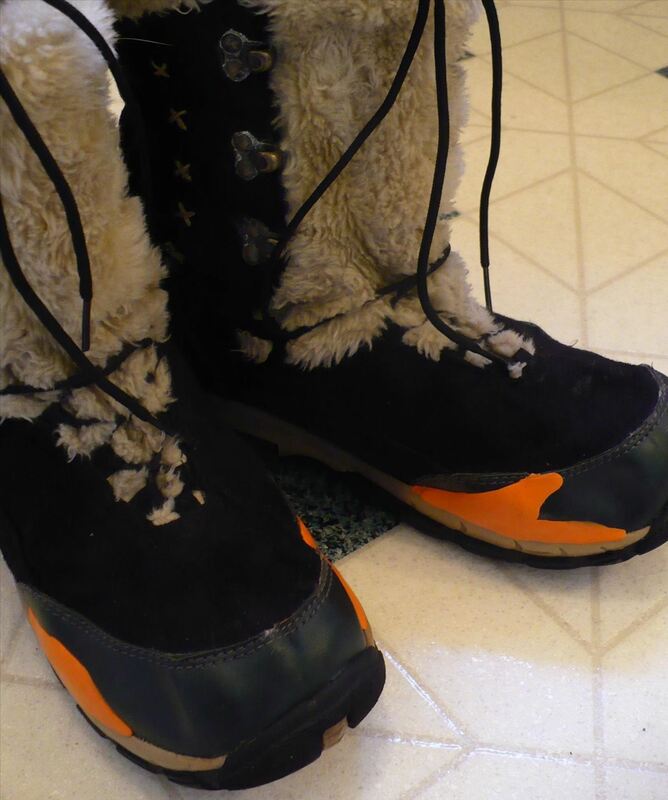 Rhonda Greene of crafting blog Mrs. Greene found that Sugru is a cheap and simple fix that actually makes your boots more resilient against the cold, wet weather. Applying it is simple. Rhonda used about one packet of Sugru per boot. She just molded a piece over each side, spread it out and let it dry. If you don't want the repair to be visible, you can match the Sugru to your boots, but you can also use a different color to accent them. Click through for the original post on repairing boots with Sugru. Want to do more with Sugru? Be sure to check out some of our other tutorials for additional ideas!